We recently talked to PhD-funded student Fiona Whelan from McMaster University, who is currently studying the lung microbiome – that is, microorganisms in the lungs of people with CF. Fiona has been working to understand microorganisms in the lungs and how different ones interact with each other, hoping to shed even more light on cystic fibrosis. She’s particularly interested in learning more about how these microorganisms could be involved in lung infection flare-ups, which are a leading cause of illness and death in people with CF. Read on to learn more about Fiona’s important work. 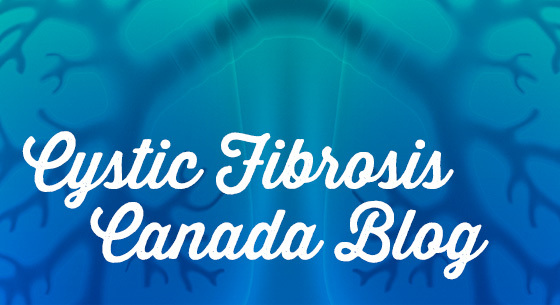 What are you hoping to learn by studying the microorganisms in the lungs of people with CF? Microorganisms are small creatures such as bacteria, viruses, and fungi. Throughout history, microorganisms (or microbes for short) have been given an evil persona since they have been linked with infections that killed thousands, such as cholera and the black plague. However, with improving technology, in the last few decades, scientists are learning that not all microbes are evil. Instead, endeavours such as the Human Microbiome Project are teaching us that everyone is covered in microbes, both inside and out. Most microbes are not vicious; instead, they help us digest the food in our guts and fend off infections on our skin. Most individuals have a small amount of bacteria in their lungs. These microbes might come into our lungs as we breathe or make their way from the nose or mouth. However, in individuals with cystic fibrosis, increases in the amount of mucus (or sputum) in the lungs makes a happy home for microorganisms. The kinds of microbes that we find in the lungs of people with CF tend to be ones that everyone encounters on a daily basis. For example, Pseudomonas aeruginosa, a common microbe in the CF lung, is found all around us in the environment. It is found in soil, water, our homes, and even on our own skin. Similarly, Staphylococcus aureus and Haemophilus influenzae are bacteria commonly found in the lungs of people with CF, especially children; these microbes can be found in our noses, throats, and environments. These bacteria are not always bad, but in the context of CF they can cause serious lung infections. We are interested in putting a magnifying glass up close to these microbes in order to better understand what makes them tick. Specifically, we want to understand what triggers a flare-up (or exacerbation) in people with CF. The way that we, as members of the Surette lab, choose to do this is by growing (or culturing) all of the microorganisms from the lungs of individuals with CF in the laboratory. Depending on the individual, this could be fifty to hundreds of bacterial organisms. What is the most surprising thing you have learned from this work so far? I think the most surprising thing that we are learning is how unique each individual’s lung microbiome is. Even though there are common microbes like Pseudomonas, Staphylococcus, and Haemophilus, there are many different types of microbes that can live in the lungs of people with CF. What we, and other researchers, are finding, is that the types and amounts of microbes within different people with CF are strikingly different. How will this work make a difference to people with CF? Making a difference in the lives of individuals with CF is the one and only goal of our research. We hope that the long-term outcome of this research is to better understand the triggers of lung exacerbations. What we hope this means for people with CF, is improved treatment options and a better ability to predict when lung flare-ups will occur so that individuals can work with their clinician to treat flare-ups early. We know that other bacteria in addition to the usual suspects can trigger exacerbations; knowing which of these we should treat will have an impact on preventing and managing exacerbations. What are your hopes for the future, related to this work and CF? I think the hardest thing for me as a scientist is communicating why some of our research findings sometimes take a long time to go from a PhD project to directly making a difference to individuals with CF. In order to study the microbes in the lungs of people with CF, we first have to develop the scientific tools to do so. Once we have the tools, we need to test them to make sure that they work in the ways that they are supposed to. As scientists, especially as scientists who study a disease that is so important to so many people, we have to make sure that we are asking the right questions and answering them in the most correct ways possible. My hopes for the future would be to help improve this type of communication between the lab and the patient population so that we can research and discover the aspects of CF that are most important to individuals and families affected by the disease. 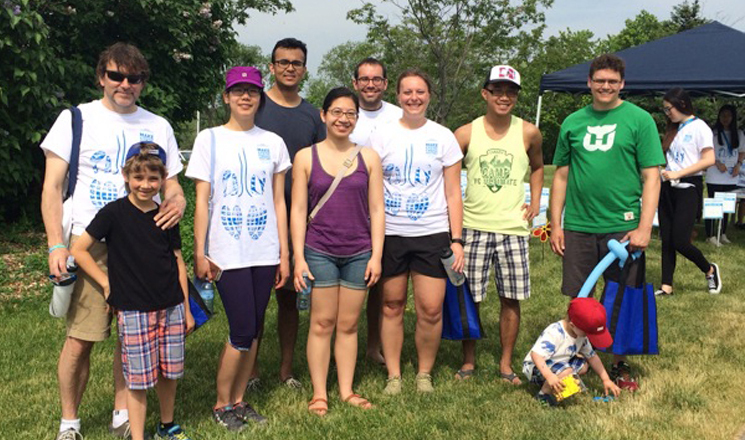 And as the name of our yearly CFC Walk to Make CF History team says, as a lab we are interested in “Culturing for a Cure”. 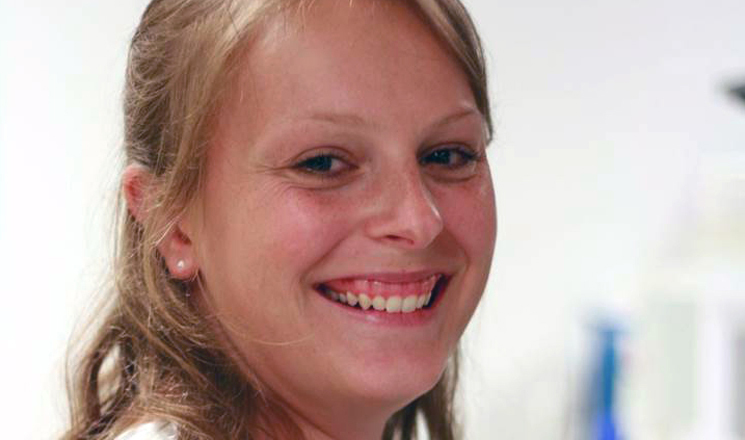 Fiona Whelan is a PhD Candidate in Dr. Michael Surette’s laboratory at McMaster University. Fiona uses a combination of microbiology and bioinformatics to study the bacteria that live in the lungs of individuals with cystic fibrosis. Follow Fiona on Twitter @whelanfj.